Dan Astley Gresswell was born on the 11th of September 1853 in Lincolnshire, England. He was the second of 14 siblings, many of whom became prominent in the area of medical care for humans and/or animals. Dan’s father was a Veterinary Surgeon. 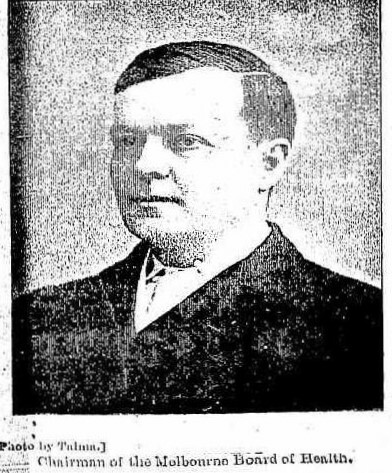 Dan Gresswell went to Oxford University and graduated in 1881. 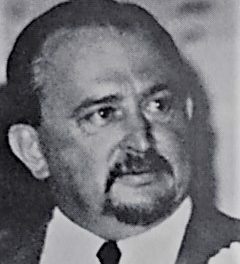 He spent nine months at the Stockwell Asylum Board Hospital in England and travelled to South Africa to expand his medical understanding through research. He also travelled to Australia for a time in the early 1880’s where he married his wife Agnes in Adelaide in 1883. He returned to England for a while before he was appointed as the Medical Inspector for the new Victoria Board of Public Health in 1889. 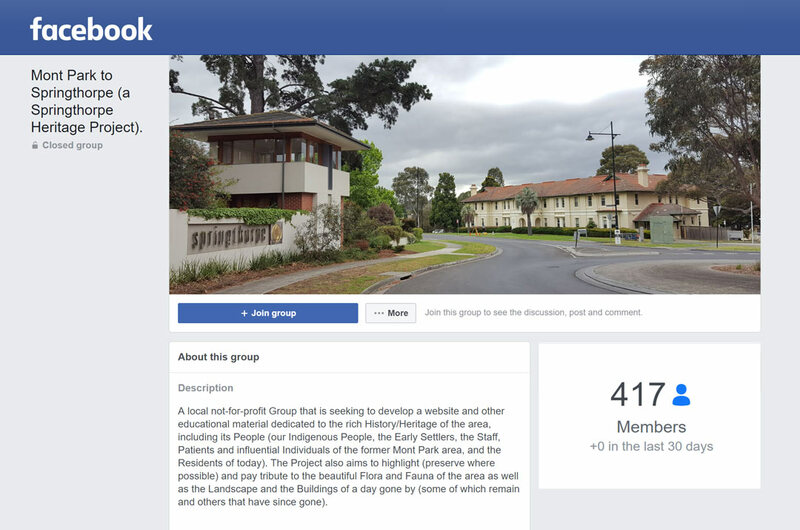 This new Board was established following a Royal Commission into the perceived (poor) sanitary state of Melbourne at that time. He was a firm believer in the use of education rather than enforcement by law/legislation when it came to community behaviour and public health albeit he did believe in the importance of enshrining ‘preventative practices’ designed to ensure a higher level of community health through the drafting of various Bills/Acts/Legislation to do with Meat, Wine, Milk and Food Handling in the late 1800’s and early 1900’s. He also co-authored the Royal Society of Victoria’s 1892 Report on Cremation, and on the 11th of December of this same year he ignited the first authorised cremation in the colony, that of a Chinese Leper. 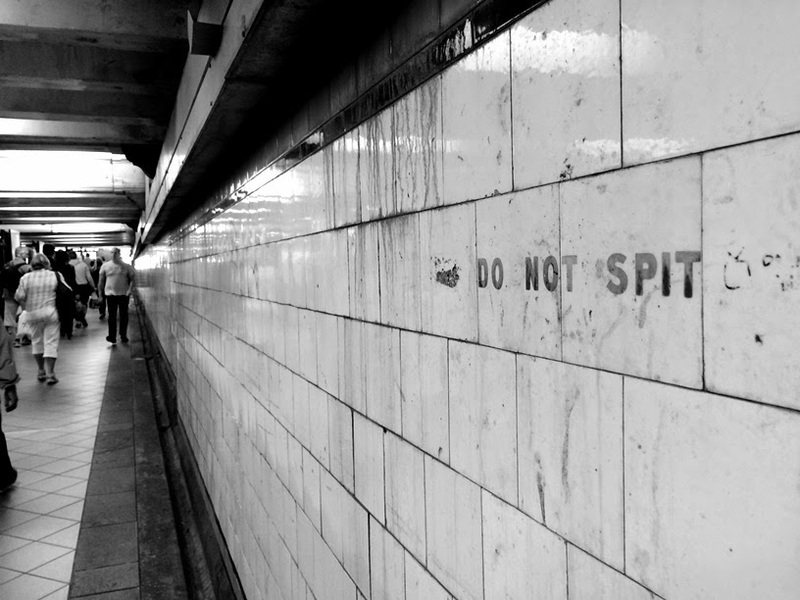 The ‘Do Not Spit’ signs on many buildings in Melbourne ‘back in the day’ (including to this very day at Flinders Street Station as I recall) exemplify just one of Dan Gresswell’s community education campaigns designed to reduce the spread of diseases in Melbourne at that time. In fact it has been suggested that the decline in Victoria Death Rates at the time of the 1900 Bubonic Plague outbreak can be largely attributed to Dan Gresswell’s work. Clearly Dan Gresswell’s knowledge, insight, and foresight with regard to containment and eradication options of a range of potentially fatal diseases around this time were invaluable. Diseases included Influenza and the Bubonic Plague (as earlier indicated) and Tuberculosis. 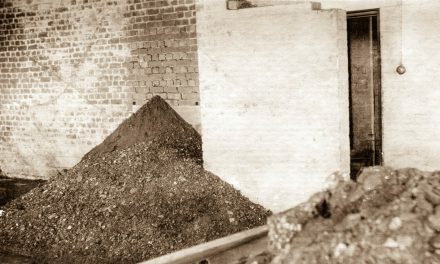 His approach to sanitisation across the late 1800’s and early 1900’s made for a safer and healthier place here in Victoria. As a result he no doubt saved many, many lives in his 15 years at the helm of Victoria’s Board of Public Health. 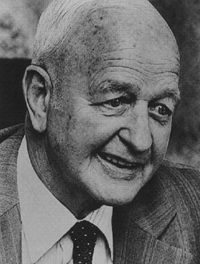 Dan Gresswell was a busy man, he did not take holidays, however he possessed both a gentle nature and sense of humour, perhaps evidenced by the fact that even though one of his favourite pastimes was as a Sculler of some note back at Oxford University, after smelling the Yarra River he swore off any future Rowing pursuits here in Melbourne. Sadly, at the age of only 51, Dan Gresswell suffered a severe attack of jaundice from which he never fully recovered. Suggesting at one stage to those around him that he was OK to return to work, he died of septicaemia on the 10th of December 1904. He is buried in the Anglican Section of the Boroondara Cemetery. 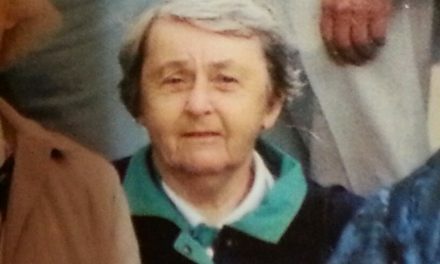 Dan Gresswell was survived by his wife Agnes. They had no children. 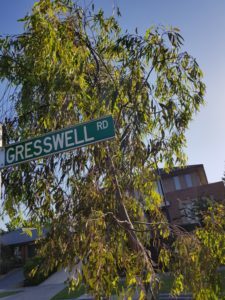 Dan Gresswell’s name lives on to this day in and around the former Mont Park now Springthorpe/Macleod area in the form of the Gresswell Forest, Gresswell Hill (formerly Sugarloaf Hill) and the Gresswell Habitat Link alongside the Strathallan Golf Course. 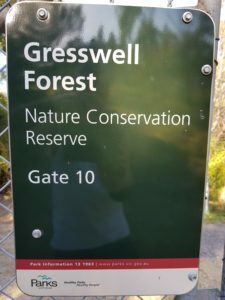 Gresswell Forest Sign. 2017. Image courtesy of Gary Cotchin. 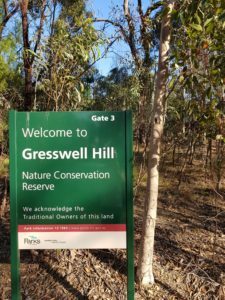 Gresswell Hill Sign. 2017. Image courtesy of Gary Cotchin. 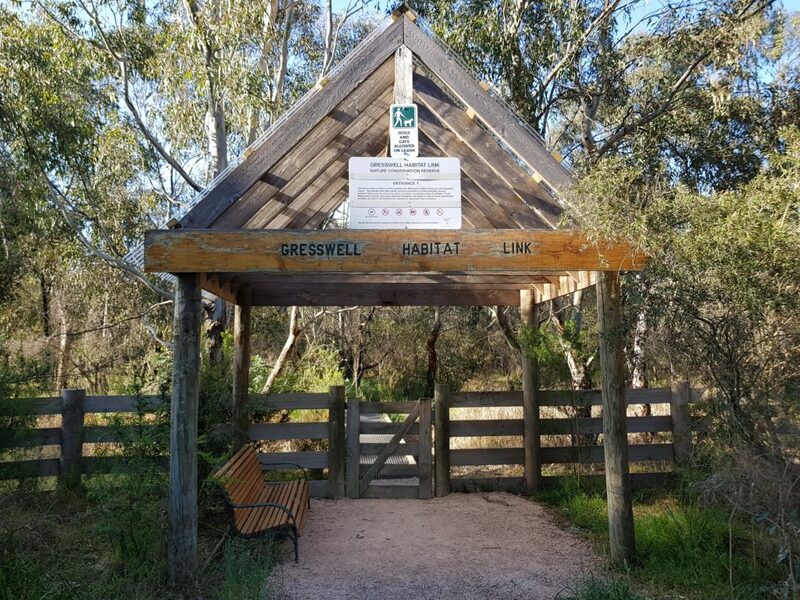 Gresswell Habitat Link Entrance on Main Drive Springthorpe Estate. 2017. Image courtesy of Gary Cotchin.After his death the Gresswell Sanatorium (see picture below) was also named after Dan Gresswell, a Sanatorium that was built in 1929 on the North/Eastern Side of Gresswell Hill. The Gresswell Sanatorium was in use from 1933 through to 1970 predominantly to isolate and rehabilitate patients with Tuberculosis. 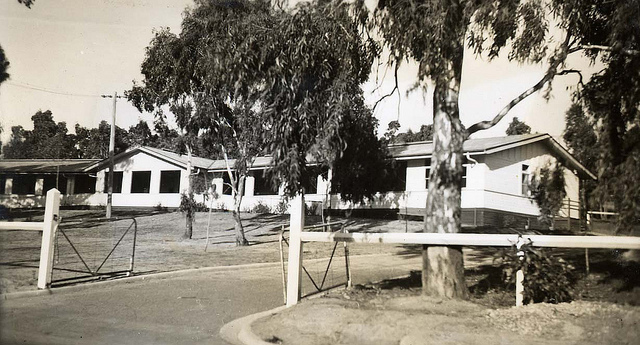 In 1970 it became the Gresswell Rehabilitation Centre  and assisted patients with Drug and Alcohol issues through until about 1995 whereafter the building was demolished. The Gresswell Sanatorium was serviced by Gresswell Road which to this day remains the main route in and around the beautiful Gresswell Nature Reserves in the Springthorpe Housing Estate. Gresswell Rd Street Sign. 2017. Image courtesy of Gary Cotchin. Gresswell Sanatorium (Mont Park). Circa 1940. 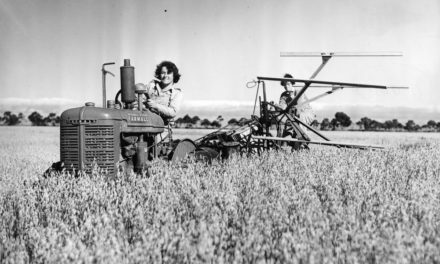 Image courtesy of Victorian Public Records Office. 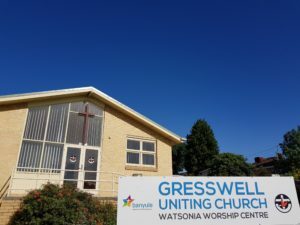 Dan Gresswell’s name can also be found today in the name of the Uniting Church in Devonshire Road Watsonia. Gresswell Uniting Church. Watsonia. 2017. Image courtesy of Gary Cotchin. NextThe 1849 Plough Cup (for Thoroughbred Horses) at Mill Park.